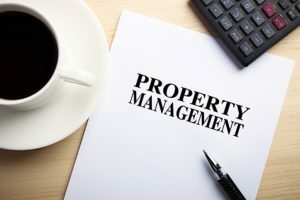 Text Property Management is on the white paper with coffee, calculator and ball pen aside. In most markets the demand for quality rentals continues to remain strong. Over the past decade there has been a steady increase in rental property ownership and rental property demand. Just one cash flow producing rental property can completely change your portfolio for the better. For every tenant horror story you hear there are a dozen others to the contrary. Managing a rental property isn’t exactly rocket science but there are a few things you can do that will make your life easier. Staying on top of the property and finding good tenants can make rental ownership a joy instead of a nightmare. Here are five tips that will help improve your rental property ownership. Stay patient finding tenants. Everything in a rental property revolves around your tenants. This is not hyperbole, or an exaggeration, but a fact. With good tenants that pay on time and take care of your property management will feel like a breeze. On the flip side if your tenants are a pain and you have to pull teeth every month to get the rent it wears on you and beats you down. You will not go the extra mile for the property which will cause issues down the road. Most landlords opt to rent to the first person that shows interest in the property. They don’t want to get too close to the end of the lease and would rather just be done with it. This thinking may solve a short term problem but can create bigger ones later in the lease. As difficult as it may be you need to stay patient finding tenants. Do your due diligence to make sure you know exactly what you are getting. Spending a few extra days or even an extra week to ensure a better tenant is one of the best managerial moves you can make. Provide move in/move out guide. With every new tenant you should assume they are renting for the first time. The best way to ease their transition in and out of the property is by providing a detailed move in and out guide. Something as simple as explaining the lease and property expectations really goes a long way. Give your tenant defined dates for collecting the security, signing the lease and moving any items into the property. Once you are close to the end of the lease you should leave no doubt as to the condition you want the property in and what is expected from them. As obvious as it sounds the condition at move in must be the same as when they move out. This means removing all items from the garage, storage and even the refrigerators. Normal wear and tear is expected but anything excessive must be repaired or a price for remedy must be worked out. By providing your tenant a move out guide there are no questions as to when they will receive their security and the condition you expect the property to be in. Ask tenants first. Your tenants can be a great resource and make your life much easier if you simply ask them. In every property you will have to find someone to cut the grass, shovel the snow and handle minor maintenance requests. In most cases you will either do these yourself to save money or pay a premium to have them done. Instead of making yourself crazy finding someone you should always ask your tenants first. There is a good chance that if you ask your tenants they will be agreeable to cutting the grass or shoveling snow. You can either give them a reduced rent, pay them a discount for the year or offer to pay as you go. If they are handy you should utilize them the same way. Don’t use them if they aren’t qualified but if they can do the work, let them. Not only will they do it better because they live there but it also increases the odds they will want to extend the lease. It also makes your life as a landlord that much easier. 45 day showing window. If you are not careful the end of the lease can sneak up on you. In every lease you need to give your existing tenant plenty of notice that you will be looking for a new tenant. This means that there may be times that you show the property without too much notice. It is important that you ask your tenant to try to keep the house as neat and orderly as possible during this time. Even if you explain to a prospective tenant that the house will be cleaned and vacant they may have a tough time seeing through the mess. Even though you don’t have too you should offer your tenant a $25 gift card if they can keep the house in good order during the showing period. Expedite turnover process. In a perfect world there would be a seamless transition from one lease to the next. While is often not the case you should do everything in your power to expedite the turnover process. This means lining up a cleaning service, locksmith, painter and anyone else you need in the house the day your tenant moves out. You should never rush the process but you should strive to have your property ready no longer than 3 days after your tenant leaves. Every day your property goes unrented is money out of your pocket. Managing a sole single family rental property is often as easy or as difficult as you make it. Use these five tips to improve your property management and make your life much easier.